live a lot goes for the all black outfit. Do you ever fall back on this simple outfit formula? It happens to be one of my favorites! Check out her look! here & now sports the perfect weekend outfit and looks fabulous doing it! Especially since she had just run a 5K that day! You go girl! 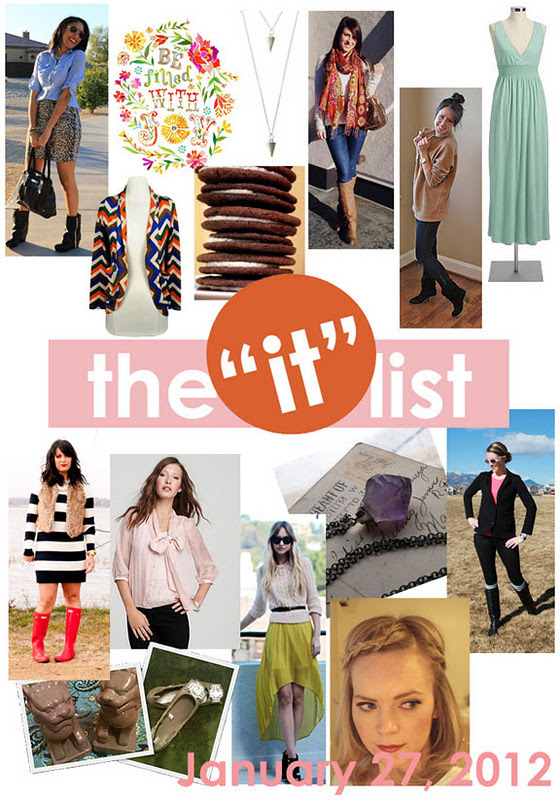 the IT list is produced weekly by Jill of good life - for information on how you can be involved, click here!